DJI, in its never ending quest to dominate the market and improve both performance and safety of Multi-Rotors, have just released an upgraded power pack for the larger 15-33lb cinema multirotors. 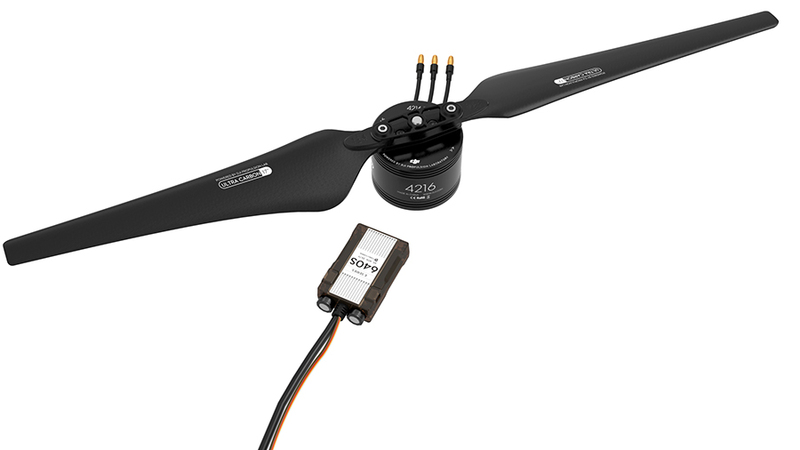 These well matched Motor ESC and Prop combinations are designed for those who are hauling larger camera systems and payloads, of this weight class, and want a solid reliable, and thoroughly tested power package for their current or planned system. This upgrade allows up to 30% longer flight times over the previous 4114 and 15″ prop combo at the same takeoff weight. It also affords higher operating temperatures, higher payload, and a 2000m higher operating ceiling, very important for folks operating in mountainous areas, such as ski resorts and competitions, or other thin air applications.